FT LAUDERDALE, FL – Castelle will launch its latest addition to its ongoing collaboration with celebrity designer and author, Barclay Butera during the April 2019 High Point Market. 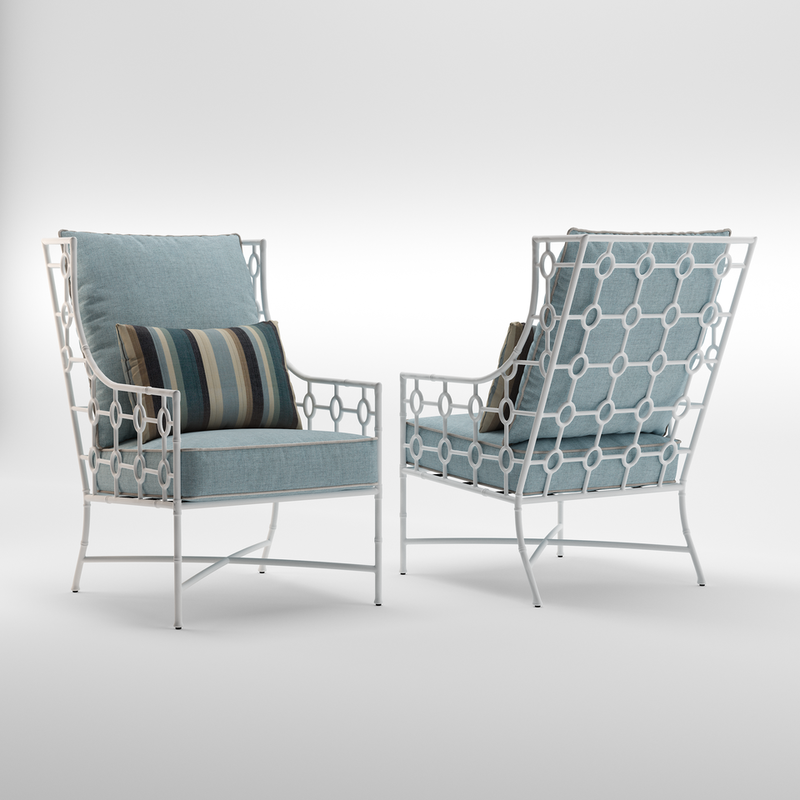 The Savannah outdoor collection from Barclay Butera for Castelle will include 18 SKUs including dining, deep seating and lounging pieces. Inspired by a lifestyle of gentility and soft bamboo, the Savannah collection shows the softer side of Barclay Butera by celebrating radius lines using new finishes and numerous options for a bespoke custom look.